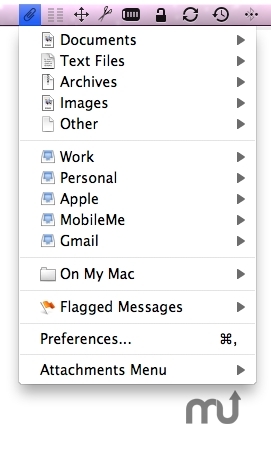 Quickly and easily access Mail attachments. Is there a better alternative to Attachments Menu? Is Attachments Menu really the best app in File Management category? Will Attachments Menu work good on macOS 10.13.4? Attachments Menu is a 64-bit utility that lives in the OS X menu bar to provide quick and easy access to all attachments located in Apple Mail. All attachments are efficiently categorized for your convenience. You can even refer to the actual email that contains a specific attachment at a click of a button. Attachments Menu is also customizable to suit your work preferences. Fixed: iCloud accounts weren't listed. Other: Various tweaks, improvements, and fixes.